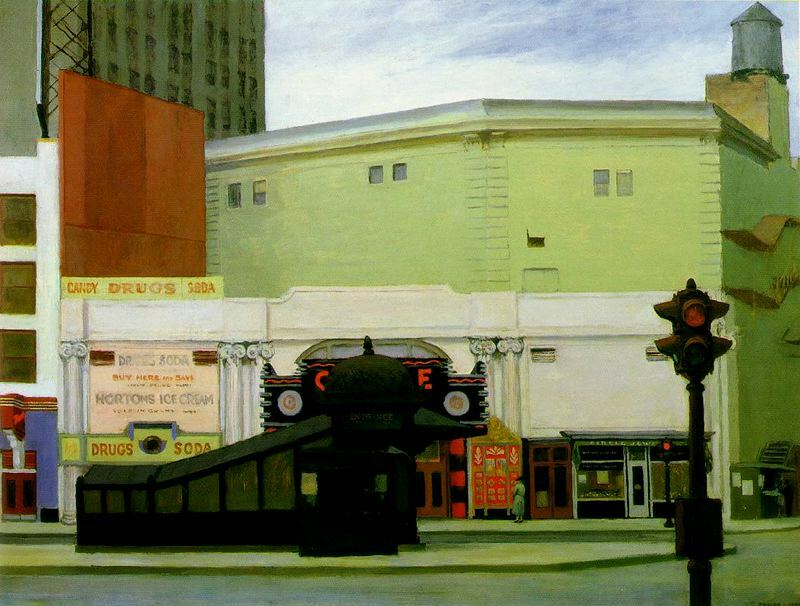 There’s inertia and emptiness among the storefronts, candy signage, and subway kiosk entrance in Edward Hopper’s 1936 street scene The Circle Theater. While the details have the realism of photography, “even here Hopper is defamiliarizing his subjects. The drug store, brightly lit up from within, is in a dark street and lights only a portion of it,” notes critic Rolf Gunter Renner, in his book Edward Hopper, 1882-1967. 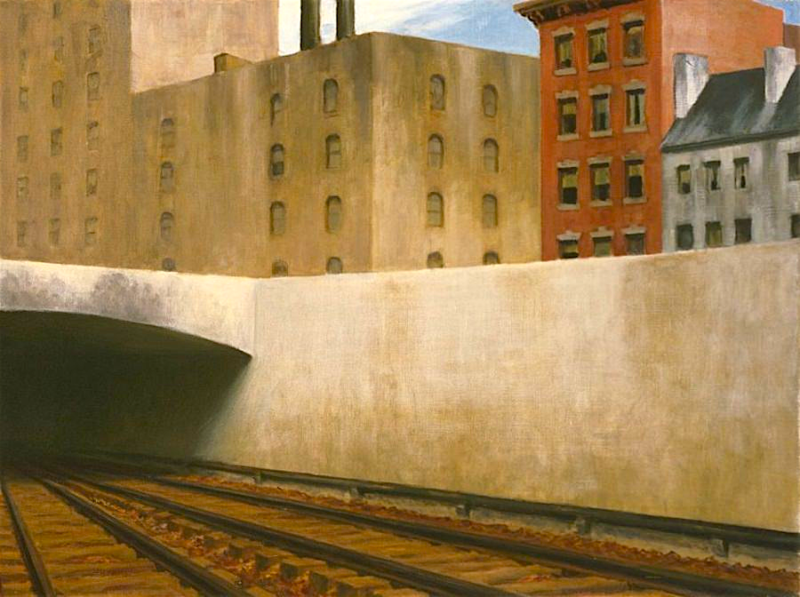 Should we assume this is one of Hopper’s famous composite-like paintings, where he adds and subtracts bits and pieces of geography and architecture to create one scene—or was there really a Circle Theater next to a sad-looking drug store behind an old-school subway entrance somewhere in the Depression-era city?